Food allergies are becoming more and more common these days. I won’t launch into a tirade as to why but more than 60% of people on this planet have a food allergy or food sensitivity. So what does one look for in ingredients for allergen free baking and cooking? I’m no stranger to food allergies. 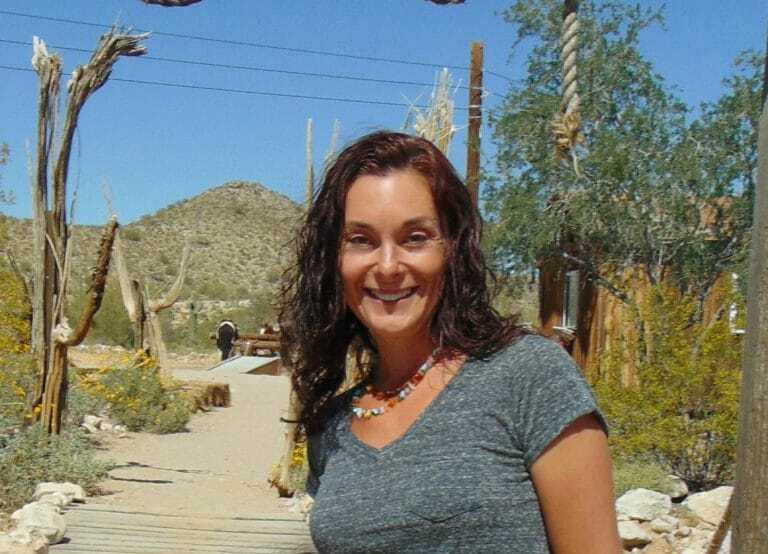 My daughter and I have celiac disease and have stayed far away from gluten since 2009. 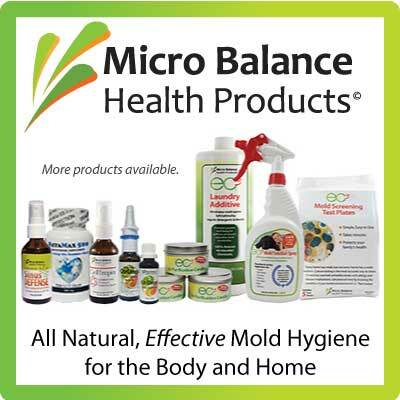 Thanks to extreme toxic mold exposure, we were fortunate enough to develop inflammatory reactions to many other foods including eggs, dairy, most nuts, coconut (oh the horror), grains, and a handful of fruits and veggies. Back in early 2015 I was advised to remove most of what we ate from our diet. I sat there, completely dumbfounded. What would we eat? Ok, there were still plenty of meat, poultry and fish options and a lot of veggies were in play so I could certainly come up with some main meals. But what about baking? I preferred to make all of our treats, snacks, muffins, and deserts from scratch and removing pretty much every ingredient I relied on was sending me into fits. And what would I do without my favorite pancakes and waffles? I knew how to make gluten free anything. 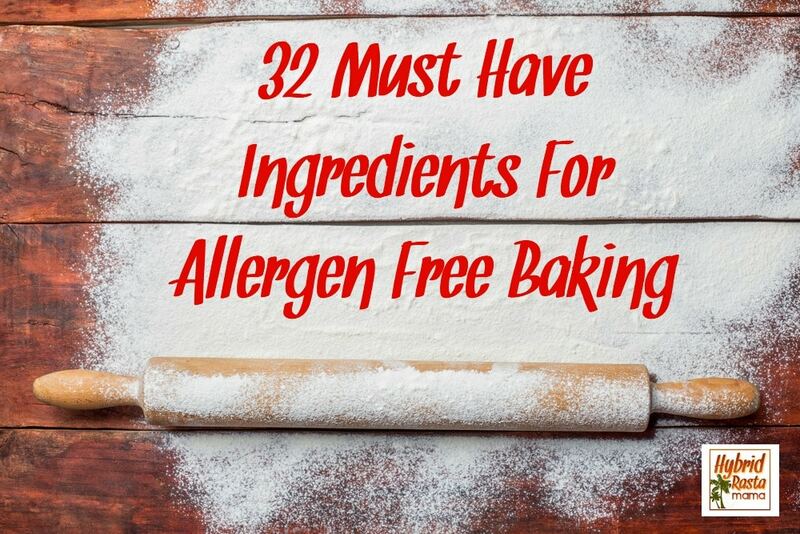 But what about ingredients for allergen free baking? I threw myself a pity party. My daughter cried endlessly over loosing so many foods. This wasn’t the end of the world but it felt like we were just going to have to live without our favorite foods for a really long time. Except that there was NO WAY I was going to let that happen. I’m way too stubborn to be told that I “can’t” have something. Darn it – where there is a stubborn determination there is absolutely a way! I knew I could find ingredients for allergen free baking that were just as delicious in my recipes. My previous baking and snack/breakfast food making relied heavily on almond flour, cashew flour, coconut flour, eggs, coconut milk, almond milk, butter, coconut oil, and fruits. These ingredients were all now forbidden with eggs, almond products, and butter being gone for good. I put my thinking cap on. I researched the living heck out of ingredients for allergen free baking. Most of it relied on plantain and bananas as the binders – two things we could not use for a good year. I hunted around some more. I saw people using some interesting looking alternative flours but their recipes all included ingredients we could not have. 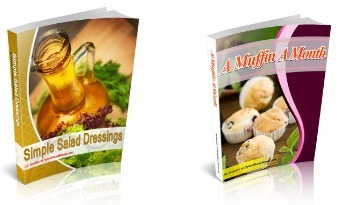 I was coming up empty and worried that I would not be able to pull off allergen free baking. But alas – I was oh so wrong! Not only have I pulled off allergen free baking but I love the results SOOOOO much that I will never, ever go back to baking with my former pantry staples. Those days are over! Bring on my gluten free, grain free, egg free, dairy free, nut free, coconut free, soy free, banana free creations. Oh, did I mention that I only use honey and no granulated sugar? Yep. Before I dive into my new must-have ingredients for allergen free baking, let me just share a short list of those delicious creations that my entire family now begs for. I will certainly be sharing more of these recipes on my site. In the meantime, let’s take a look at the stars of my baking show! 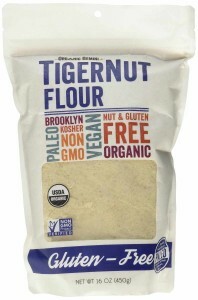 Tigernut flour is pretty much my best ingredient for allergen free baking when it comes to cookies, muffins, and cakes. While it has taken some work to figure out how to use it in place of my recipes that called for coconut flour and nut flours, once I got the hang of it, there was no stopping me. I love the fact that this flour isn’t as dense as coconut flour so you do not have to use a lot of liquids in order to create a moist end product. It has been a very adaptable flour and to date, I haven’t really had it fail me. It has a light flavor that allows other flavors used in the recipe to stand out. I like a flour that isn’t overpowering on its own. I will mention that it grabs up the starchiness of whatever starches you use. So go easy on the starch otherwise you will end up with some grit. For more information on Tigernut Flour, check out this post. Cassava flour has been a DREAM when I need to create something really moist with a bit of chewiness to it without compromise the outside texture. Think waffles and pancakes. Think funnel cakes like you used to get at the state fair. Think donuts. I adore this flour. It works great alone for certain recipes (like those just mentioned) but it also pairs well with other flours to create cupcakes, muffins, and cookies that need a firm or crispy texture outside and a chewy moisture inside. It also works wonderfully as a coating for fish or chicken as well as a thickener for sauces. This Squash Flour has been a really fun flour to play with! I have never used in exclusively in a recipe. 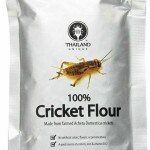 I typically combine it with Tigernut Flour, Cassava Flour or both! It is versatile and lends a slight sweetness to the recipe. It is a wonderful add in for pancakes and waffles and is great to use in squash based baked goods. I am also loving in as a coating for chicken. The texture is great and it plays nicely with other ingredients for allergen free baking. The flavor it lends is subtle so it blends in nicely. I have not paired it with berries in a recipe and am not sure that I would. I think this works best with things like pumpkin, butternut squash, apples, pears, figs, and other “fall weather” flavors. It is a dream when used in conjunction with chai spices! 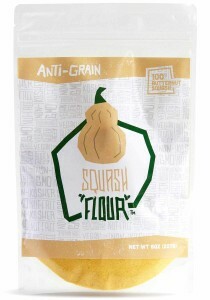 My thoughts on apple flour as about the same as squash flour which isn’t shocking considering they come from the same company. The apple flour did pair well with blueberries when I tried it in a blueberry muffin recipe I was working on. Apple flour is probably the most unique ingredient for allergen free baking that I have used with success. Not much to say here. Some recipes need a healthy dose of arrowroot or tapioca flour to make them work right. Others need nothing more than baking soda. Nonetheless, these are the starches I rely on. There are several brands to love! This is the only tapioca flour that I have actually liked. You can use whatever floats your boat here although I prefer this brand. Once eggs, nut butter, regular butter, ghee, and coconut oil/butter went out the window, I had to rethink my binders and fats. I honestly had never had a lot of luck with egg replacers and wondered how I would make this work. Turns out, it is pretty easy! There is some sort of magic that happens in a recipe that calls for eggs and a fat when you replace it with palm shortening and a gelatin egg. Apparently those two ingredients just need each other in order for everything to bind up perfectly. I find this is a key ingredient for allergen free baking success. I had never used shortening before. Shocking I know. But I was put off by the stuff. Now I cannot imagine baking without it! No more oils for me. This not only adds healthy fats but it helps bind the recipe without making it an oily nightmare. I have found that it works best in solid form, where you are cutting it into a recipe. Melting it first has create a very different end product. I use and love this palm shortening and honestly have not tried another brand. I have no clue if they all work the same way. No – not that name brand kind. The pure protein kind from beef bones. It is basically that same stuff you find in a thick bone stock. 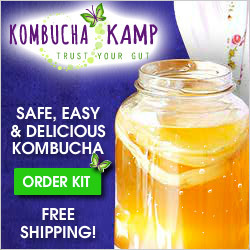 You need to make sure you are purchasing gelatin and not collagen hydrosolate. They are two very different things. Gelatin gels and therefore makes a great egg replacer. The other does not gel and won’t act as a binder. I like this brand the best but also have used this one with great success. I suggest you only use gelatin as an egg replacer if the recipe calls for three or fewer eggs. It can only do so much. Another fun way to bind a recipe without eggs. It also adds in some fiber. I have found that this only works consistently in recipes requiring one egg. While it is vegan, and gelatin isn’t, I’m not sure it is the better egg replacement option overall. But it can work. It just takes some patience. I like this brand of chia seeds although they all work the same. I use this as a fat and never a binder. It doesn’t bind. Trust me. My main use for avocado oil is for sautéing or frying more savory items like my Native American Fry Bread. I pick up this brand of Avocado Oil at Costco for a great price. I’m not a major fan of sunflower seeds. The taste is ok but just not my thing. I was a little concerned about using sunflower seed butter instead of almond butter but it actually works better and I really enjoy the taste. 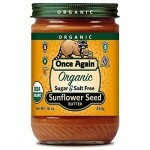 The only thing about sunflower seed butter is that it is a bit thicker and a little bit harder to work into recipes. I have made a lot of adjustments to the amount of sunflower seed butter when trying to substitute it in a recipe that used a nut butter. I find I need less, typically. 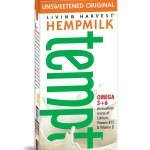 I fell in LOVE with hemp milk, specifically this brand. Yes, there are some ingredients I am not thrilled with and I do make my own hemp milk when I can but this is a wonderful substitute that does not add any sort of flavor to a recipe. Plus, it isn’t overly watery. You can easily make this and it does not impart any sort of taste to a recipe which is nice. However, it separates easily which has caused me some trouble here and there when creating a recipe. I find that muffins are pretty forgiving with tigernut milk but other baked goods struggle a little. Oh my goodness! I love Tigernut Horchata to pieces. While I mainly drink it, it has been so much fun to create cupcake recipes with it. Thus far, that has been my main focus. Tigernut Horchata Cupcakes. It works incredibly well and lends a great flavor leaving you with very little need to add extra spices. It also helps cut the sugar down in a recipe because you do not need to add in any honey. It has enough sweetness on its own – for the most part. Several of my recipes have simply done better with water as opposed to an alternative milk. Remember how I mentioned this as something not to confuse with gelatin? While it won’t gel, it will add a TON of protein to your recipe. I usually add in ¼ cup for every 2 cups of solid ingredients. It does not alter the taste or texture of the recipe but it can increase the baking time a wee bit. I like this brand a lot and actually think it does a better job or NOT changing the texture of the recipe. I have also used this brand but have noticed that it can make things a little gummy. 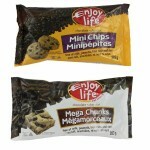 This brand of chocolate chips are gluten free and free of the 8 most common allergens: wheat, dairy, peanuts, tree nuts, egg, soy, fish and shellfish. This product was manufactured in a dedicated gluten-free and nut-free bakery. It is also made without other common triggers of intolerance: corn, potato, sulfites, sesame and casein. Everyone deserves a little chocolate right? I may or may not be caught snacking right out of the bag at times. While I love chocolate, I prefer to use Carob Powder. The taste is mildly reminiscent of chocolate, but carob has none of the caffeine or theobromine found in cacao and can be enjoyed even by those who are allergic to chocolate. This Raw Carob Powder contains nothing but pure, organic, naturally dried and powdered carob pods with no additives or preservatives of any kind. I find that I actually like it much better, flavor wise, than cocoa powder. This stuff is worth every dang penny! Oh my! 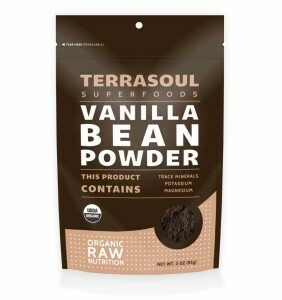 This is a raw Vanilla Bean Powder that is made from 100% pure, organic, fresh ground vanilla beans and contains no preservatives or fillers. The Vanilla Bean Powder is made by grinding the whole vanilla pod. This process helps to bring out the natural oils and flavor of the vanilla beansTwice as flavorful as an extract since it doesn’t have alcohol that evaporates, use only use half as much in your recipes and taste the difference. Seriously, I won’t go back to regular vanilla extra ever again! I haven’t used these but I know people that have had great success with them. I’ve eaten fried crickets and they were interesting. They are definitely really good for you so this could be a nice way to get some protein in. My fear is that this flour will change the taste of a recipe. I cannot wait to use this as soon as we clear bananas/plantains! I am already dreaming up recipes – most of them Jamaican and Puerto Rican influenced! What about all of you? 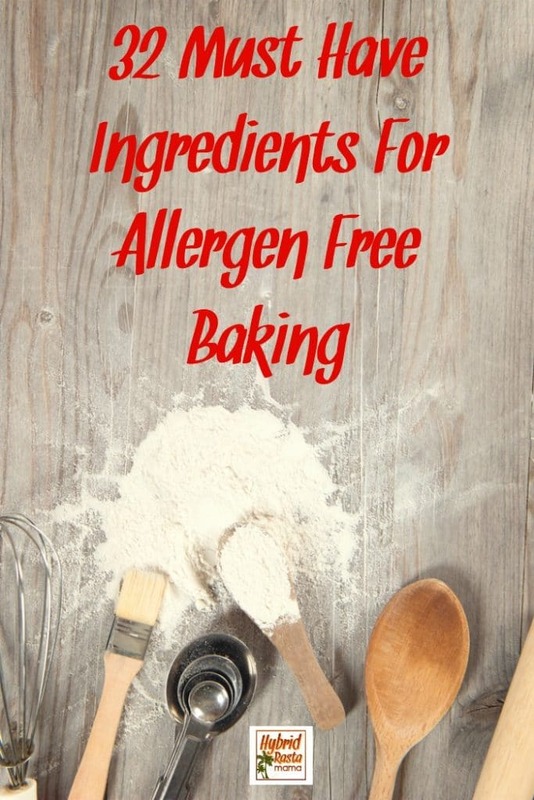 Do you use any ingredients for allergen free baking that I somehow missed? Do share in the comments so I can check them out and possibly add them to this post! I bought the tigernut flour some time ago, but really don’t know what to do with it. And I don’t see recipes you’ve used it in. Can I do a 1:1 ratio with sprouted flour I usually use? Hi Jonell! I have not posted a lot of recipes with Tigernut Flour yet but do check out my Sweets, Treats, and Baked Goods category as the most recent recipes use Tigernut Flour. You can replace any sprouted flour in a 1:1 ratio in my experience.